Brawl Stars is the newest Supercell game and is quite different from all the games that came before it. It is a multiplayer mobile game that was in beta release in countries like Canada for the past two years and during winter break it was released globally. The game consists of 24 brawlers and 5 modes and a multitude of special events (which take tickets to play), Showdown, Bounty, Heist, Gem Grab, Big Game, Boss Battle, Robo Rumble, and Siege. All of these brawlers and all of these gamemodes make for fluid fast paced gameplay that has attracted 10 million players worldwide. The infinite possible permutations of the game has lead to an eruption of YouTubers and content creators for the game because of how easy it is to play and share. The Brawl Stars subreddit is the most active Supercell community and constantly is being updated by hundreds of thousands of users every day. 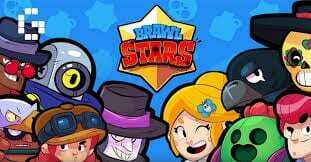 Constant updates make the game fun and exciting and add new brawlers, game modes, and skins. There are some problems with the game, most notably how people believe it is hard to succeed without spending money or being extremely lucky. Because the legendary brawlers are so rare people feel as if they need to spend money even though you can get them without spending anything. Luca Sella ’24 and Konrad Smith ’23 are both familiar with the game. How long have you played Brawl Stars? How many characters have you unlocked? How often do you play in a day? What do you like about Brawl Stars? Luca:It’s fun. It has a wide variety of characters that have different abilities. Konrad: I like how much variety is in the game, how many characters and maps there are which stop the game from being boring like most games. Be the first to comment on "All About Brawl Stars"